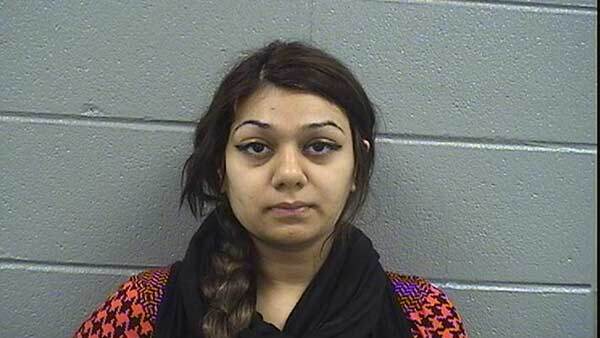 CHICAGO (WLS) -- Chicago police have charged 19-year-old Mubashra Uddin with first degree murder after they say she dropped her newborn daughter from an eighth floor window shortly after giving birth. The newborn was discovered outside the apartment building near West Eastwood and North Clarendon around 11:45 p.m. Wednesday, Nov. 11, only a block away from Weiss Hospital. The death was ruled a homicide after the Cook County Medical Examiner determined she died of blunt force trauma to the head. Police say Uddin is currently hospitalized, but have not released any further details. Illinois safe haven laws allows the parents of unharmed newborns up to 30 days old to hand them over to staff at hospitals, police stations and other designated safe haven sites with no questions asked and without fear of prosecution.